Security Trust offers a remote Technical Assistance service and on-site service 24 hours a day through specialized technicians and their rapid and decisive intervention. Our branches all over Italy and our longtime network of collaborators makes it possible to support our customers 24 hours a day 365 days a year. In the initial phase our Service Office offers remote direct assistance by studying the problems in detail using remote management of the safety systems. Afterwards, in a second step, technicians intervene at the relevant site. Our Customer Assistance service is specific and made-to-measure in order to meet the actual safety requirements of the site to be protected. The maintenance service has the goal of guaranteeing continuity of service, keeping the devices installed efficient in compliance with the Standards in force, improving the management of people and tools and making it more effective. All this should lead to cost reduction and increase the safety level in general. 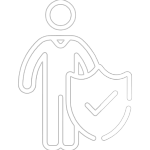 In order to achieve these objectives Security Trust offers a preventive maintenance service with the aim of keeping systems efficient. It also offers corrective maintenance in order to rapidly verify failures and avoid critical performance failures of the individual components of the system. Corrective maintenance includes all the activities aimed at solving possible technical problems arisen during the operation of the safety systems. The above activities may be planned when failures and not immediately resolvable problems are identified in the course of a regular control. Alternatively, these activities may be specifically requested by a particular customer. The maintenance service we offer covers all the above costs over the whole useful life of the system. In order to avoid costs for materials after the Guarantee period, we offer a guarantee service extension covering not only possible production defects, but also the normal wear of the systems. The Corrective Maintenance Service includes labour, tools and the necessary materials, spare parts (beyond the constructor’s guarantee period) and everything else that may be necessary to restore system operation. The materials used for replacement purposes shall be original and identical to the original materials in terms of quality and duration. They will be certified and type-approved depending on the requirements and shall not affect the characteristics, including the aesthetics, of the part repaired. Security Trust shall carry out corrective maintenance, with the customer’s prior written authorization, up to the maximum value agreed with the Customer which will correspond to the sum of every individual intervention carried out during the contractual year. the materials used shall be original and have the same quality and duration as the original ones. The materials used for replacement shall be original and identical to those used originally in terms of quality and duration. They will be certified and type-approved depending on the requirements and shall not affect the characteristics, including the aesthetics, of the part repaired. Preventive maintenance includes all periodical maintenance work necessary to keep the system efficient. These maintenance visits have the purpose of controlling the overall operation of the system. Individual devices installed and their operating conditions are also tested. The overhauling activities cover any type of failure of the systems over the period of time mentioned on each relevant sheet. Failures resulting from external causes, such as lightning, floods, deliberate acts, etc. are excluded. The Users authorized on the basis of the authorization levels defined by the Customer must be allowed access to the service by means of the predisposed communication channels mentioned below: fax number and Email address. Telephone operators will be available at the Call Centre every day from 8:30 am until 6 pm with the exception of Saturday, Sunday and public holidays. An answering machine shall be active on the days when no telephone operators are available, and messages will stay in a fax and Email queue. A reaction from the Call Centre may also be triggered by an Email communication sent by the Customer. All calls to the Call Centre are logged in the IT System and will remain recorded, regardless of the access channel used. The time of supply of the services (intervention times) shall depend on the date/time when the call has been recorded. The recording is automatic and takes place during conversation with operators. All calls received beyond the service hours mentioned above shall be automatically recorded on the same day or on the working day following the call. The various calls shall be managed using procedures which will make it possible to trace them at any time with the utmost precision. Different information fields shall apply depending on the type of request received. At the time when the contract is stipulated the Supplier must supply information on the terms to be observed by the Customer to make use of the service.